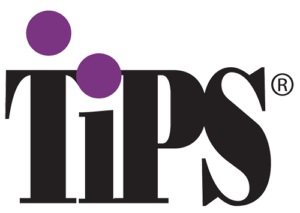 The “Flash that brings in the Cash.” Become a Flair-Master Bartender and double or even triple your tip-making potential!. You’ll learn entirely hands-on: Impressive pouring, glassstacking, and bottle-maneuvering magic that is guaranteed to astound your friends, dazzle your customers, and fill your tip jar. Upbeat & lively, Flair-Master Bartenders bring “Big City Bartending” to the home-town arena. 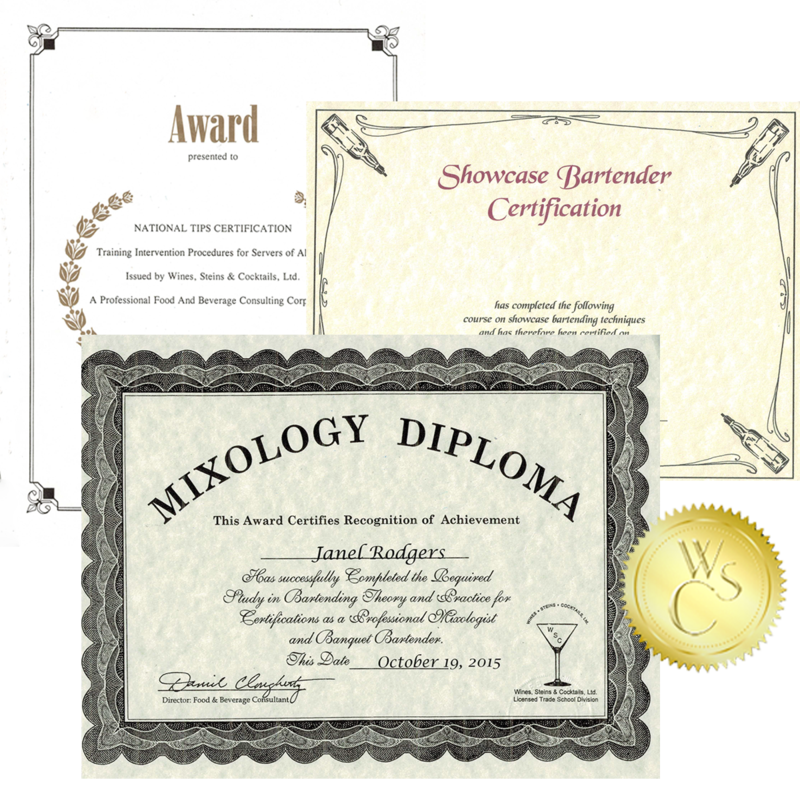 As seen on television, graduates take home these valuable materials: An illustrated copy of Flair Bartending Made Easy, and America’s #1 Shot- Master Drink Index, complete with over 100 of the most popular Shooters, Tooters, Poppers, and Mindstoppers selected from Nightclub Hot Spots around the nation. 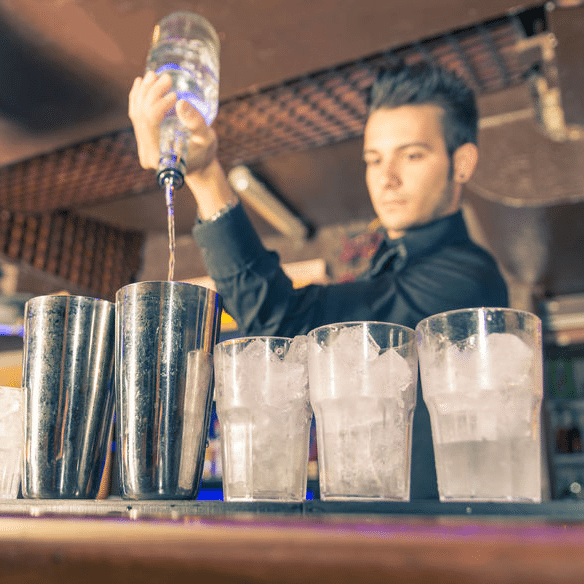 Join the ranks of the Bartending Elite and start making more money today! Check out our full course brochure for more information! Start earning up to $300 per night! Call us today at 1-800-333-7122, Contact Us online, or pay online below to sign up!